Allergy labels help avoid allergic reactions in healthcare settings. Hospitals, clinics, physicians offices, nursing homes and more use allergy labels to communicate information to ensure proper patient care. Allergy labels identify the type of patient allergy and warn staff, visitors and patients of allergens that may need to avoid. Allergy labels make it easy to communicate food allergies, medication allergies, contrast allergies, latex allergies and more. 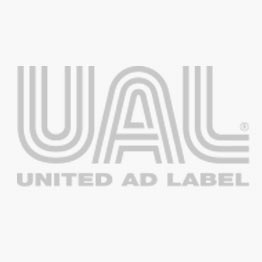 United Ad Label provides allergy labels that are highly visible and contain both bright colors and bold lettering that make warnings stand out. Allergy labels come in both a wrist band and sticker style and fit the needs of your staff and patients. Allergy Alert Label, 1-1/4" x 5/16"
Allergy Alert Label, 1-5/8" x 7/8"
Allergy Alert Label, 2-1/2" x 2-1/2"
Allergy Alert Label, 2-1/4" x 7/8"